With a luxury yacht charter in Turkey, you certainly have much to choose from in yacht types. 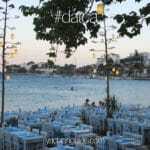 However one such type that has attracted the interest of many travelers in the past decade has been Turkish gulets. Cruising and sailing boats that are from classic to very modern designs and constructed from the finest woods such as teak and mahogany. In the gulet charter market, these lovely luxury yacht charters are available in different classes. What distinguishes their classes are generally age, condition, design, layout, size and number of cabins in relation to the size. Among the classifications known are standard or economic, luxury, deluxe, ultra or high deluxe and VIP. Additionally, there is a term that can be acknowledged as a sub class. We call them boutique. In essence it is a classification to itself however the boat charters are also accepted as one of the above mentioned classes as well. The boutique boat charter class can generally mean that it is personal, private, small, and rather customized. 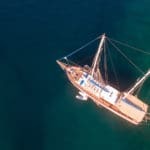 Boutique luxury yacht charters aboard Turkish gulets are ones that present a bit more to a small sized group in the higher end classes of gulets. While on the other hand there are small sized gulets that can be quite reasonably priced and suitable for couples and smaller family sized groups. 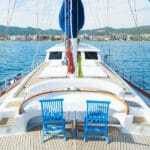 Occassionally, just one couple can hire a boutique boat charter aboard a gulet, for the ultimate romantic experience. In the style of luxury yacht charter in Turkey, the selection of boutique gulets are often rented from Bodrum, Marmaris and Gocek. Travelers can choose from 2 cabin boats up to 4 cabins. Usually any boat charter above 4 cabins steps outside of the boutique class. Luxury yacht charter Turkey holidays can offer many different routes that these lovely boats can travel to. 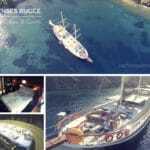 A few of the favored boutique boat charters in the marketplace and asked for as such as Cosh, a 2 cabin cozy Bodrum built gulet; Atalante gulet, a Deluxe class gulet which offers 4 well designed cabins; Artemiz gulet, an all time favorite with 2 private cabins on board – also a Deluxe class Turkish gulet. Weekly priced start just above 6,000€ and go all the way as high as just above 34,000€. But most range from 6,000€ – 10,000€ / week. If you have a small group and looking to explore the shores of Southern Turkey on a luxury yacht charter, there is certainly a good selection boutique boats for hire, that may be suitable to your Mediterranean yacht charter holidays requirements.